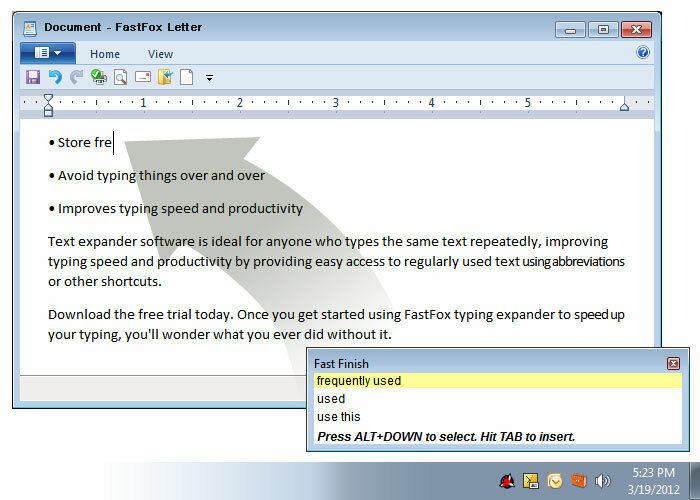 FastFox Text Expander is an easy-to-use application that creates and stores keyboard shortcuts that, when pressed, will expand to an entire word, phrase, sentence, paragraph or document, drastically improving your typing efficiency. To add a new shortcut in FastFox, enter both the shortcut keys and the text the shortcut will expand to. 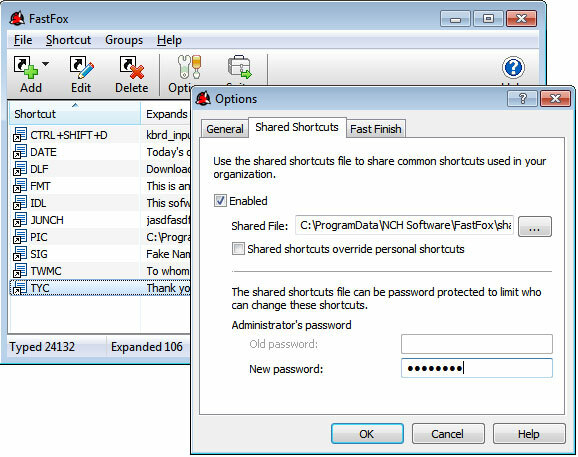 Share text shortcuts across a group or organization. 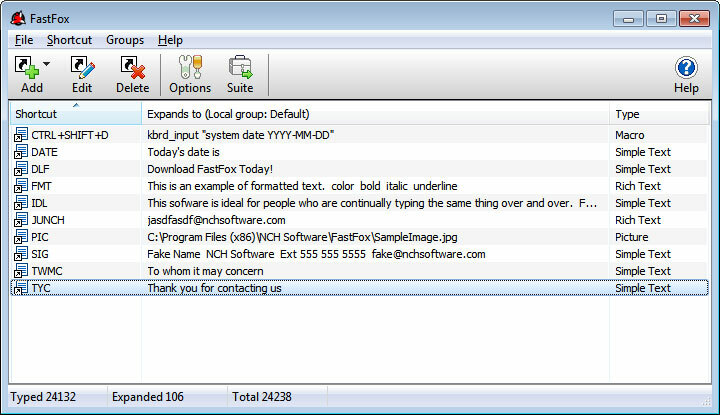 Ideal for saving answers to frequently asked questions for a support team, for example. Fast Finish learns the phrases you type the most and makes suggestions for completing those phrases as you type, so you can select and insert text on the fly, speeding up all your typing processes. FastFox will work in word processors such as Microsoft Word, internet browsers including FireFox and Internet Explorer, and email clients like Microsoft Outlook, and many other programs. 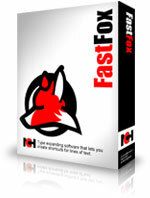 FastFox text expansion software is ideal for anyone who types the same text repeatedly, improving typing speed and productivity, and can be used from within any application including word processors, dictation software, email clients and more. Once you get started using FastFox, you will wonder what you ever did without it.